Storify.com is a social media tool that enables users to pull together snippets of social media from several sources (Twitter, Facebook, Flickr, YouTube, and more). Users bring different social media together into one “Story” that can be published and shared. 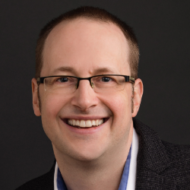 This provides yet another point of differentiation for real estate professionals who want to establish their expertise in a particular town, city, neighborhood, or community. Storify.com can help real estate professionals to sell more homes by giving potential buyers an overview of what makes that particular community so special. Once you’ve created a Story, you can publish it, share it across other social media, and embed it on your websites. 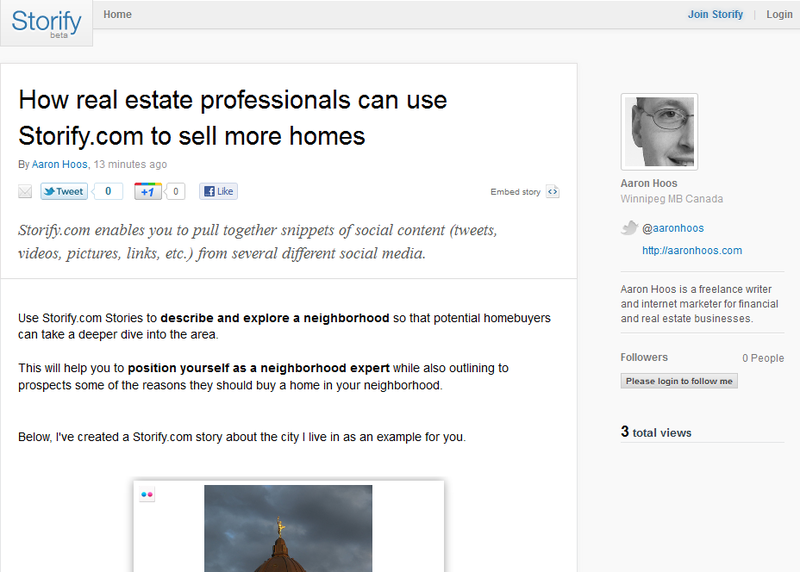 Check out the example Storify.com Story I created to demonstrate the potential: How real estate professionals can use Storify.com to sell more homes (opens in a new tab/window). Create a Story about the city or town you live in so you can link to it for your out-of-town buyers. Create several Stories about the community (or communities) you specialize in. Introduce potential buyers to the area — where all the schools and shopping malls are. Embed videos of a drive down a typical street so visitors to your Story can get a sense of what the area is like. Interview local business owners and residents about the area and post videos in your story. Create a Story about yourself, pulling snippets of social media where other people talk about you. Create Stories that are linked to target markets like first time home buyers, young families, growing families, empty nesters, retirees, etc. For example, show the top three neighborhoods in the city that are perfect for families with young children. There are so many possibilities and you’ll discover new opportunities as you mix and match social media in new and interesting ways!